There is a fundamental tenet held among most animal welfare and animal rights advocates that we accept as incontrovertible. That precept was perhaps best articulated by Mahatma Gandhi when he said, “the greatness of a nation and its moral progress is best judged by how we treat our animals”. This principle expresses the belief that when a community is compassionate enough to care about the needs of its animals there can be a reasonable expectation that the bar is raised on how we care and treat one another. The reverse is also true. If we can dismiss the needs of our animals it becomes easier to dismiss the needs of our infirmed, aged, and needy human populations. Caring about animals serves as the ultimate litmus test for determining a community’s capacity for compassion. This test is applied to the City of Los Angeles every day, but never more than in the spring and summer months. Spring is the beginning of kitten season in Los Angeles. In 2008 LA Animal Services took in over 7,300 neonate kittens. Neonate means too young to survive for more than an hour or two without a mother. 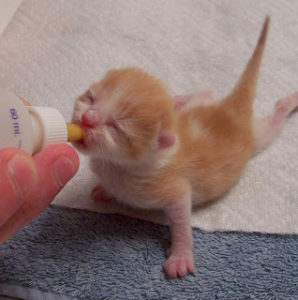 Sadly, most of the neonate kittens we take in are orphans. People find these babies in their garage, flowerbeds, and many other places where the mother felt safe from predators and intruders while she gave birth. Property owners find these crying babies within hours or days of birth and bring them to our Centers without the mother. Taken away from their mother they have no chance at survival without significant human intervention. Neonate kittens represent over one-third of all the cats taken in by the Department. They also represent over 35% of all the cats euthanized and over 21% of our euthanasia rate in 2008. One in three cats and one in five animals euthanized in LA is a neonate kitten. On the up side, most of our healthy weaned kittens get adopted. So anything we can do to help our neonates reach full “kittenhood” improves the odds of their eventually finding a loving home. Kitten season in Los Angeles starts around the end of March and lasts through September when it starts to slowly decline over October and November. 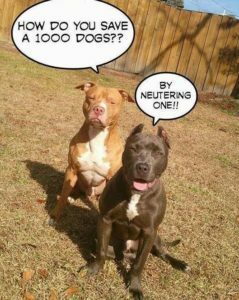 That means now is the time for everyone wanting to help end the killing of these innocents to contact LA Animal Services to either volunteer to foster a litter of kittens or to make a donation to help others willing to make this commitment. The Merriam-Webster Dictionary defines “foster” as providing parental care and nurture to children not related through legal or blood ties. If Gandhi viewed animals in general as the first rung on the compassion ladder then these little creatures must be considered the least of the least. They can be so easily overlooked and forgotten. 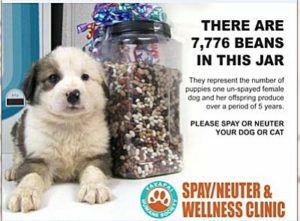 In fact, California State Law defines “adoptable animals” as only those animals eight weeks of age or older; which means these little orphans have no legal standing in the State of California. They don’t even have to be counted in the City’s no-kill goal. Nonetheless, they are because we understand that our moral progress depends on our providing adequate care and nurture to these living souls with whom we have no legal or blood ties. The problem is that we can’t save them all by ourselves. We need your help. During kitten season LA Animal Services can take in over 80 neonate orphans a day, over 2500 in some months. Depending on their age they may require four to 8 weeks of intense foster care. Though dozens of our dedicated employees volunteer to foster neonate litters above and beyond their daily duties, the majority will not survive without the additional help of members of the public willing to step up to the challenge. They will not survive without your help. If you are able and willing to help save these lives, LA Animal Services will provide the training, support and supplies you need to be a successful foster parent. This is a big commitment and a true test of our compassion. Even with our best efforts not all foster babies survive. But they can all be loved. These babies need to be bottle fed every two hours around the clock for several weeks; making this the perfect family, club, or faith based organizational project. Fostering helpless neonates is an ideal way to foster compassion and respect for the true value and sanctity of all life in our community. Have you saved a life today? Make a commitment to volunteer as a Baby Bottle Foster Parent. Our kittens are hoping you do! LOS ANGELES – On Saturday, October 7, LA Animal Services, in a special dedication ceremony, will open one of the most sophisticated animal care centers in the nation, in hopes to ultimately increase the adoption rate of dogs, cats and rabbits throughout the city. Last year alone, LA Animal Services rescued more than 46,000 lost and homeless pets. 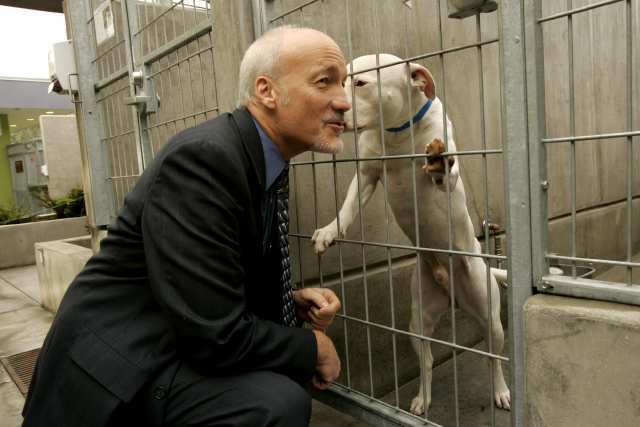 Due to the overwhelming number of animals rescued by LA Animal Services, the lack of space in the shelters and a low adoption rate, over 19,000 pets were euthanized. In an effort to reduce euthanasia and increase pet adoption, LA Animal Services, with the support of Mayor Villaraigosa and the City Council, are building six new state-of-the-art animal care facilities throughout Los Angeles, paid for by Proposition F, approved overwhelmingly by voters in November 2000. The North Central Animal Care Center, located on Lacy Street, in Lincoln Heights, is the first of the six scheduled to open in the next six months. The enlarged 45,000 square foot North Central Animal Care Center features 176 kennels with spacious aisles, solar and radiant heating to keep the animals warm during cold weather, an outdoor misting system to cool the animals during the hot summer months and veterinary and spay/neuter clinics. The new facility has earned a prestigious “Gold” rated green building by the United States Green Building Council, Leadership in Energy & Environmental Design (LEED) rating system. This new center maximized the recycling of construction waste; used steel with 25% recycled content and optimizes energy performance. It features nearly 800 solar panels for the generation of electricity and the front wall is made from 100% recycle wood. Public Grand Opening: On Saturday, October 7, from Noon – 4 p.m. LA Animal Services will open its doors to the public with a “Grand Homecoming” event. The celebration gives the public an opportunity to tour the new facility and visit the animals up for adoption. There will also be complimentary refreshments provided by local vendors, special discounts and coupons from various pet-related sponsors as well as Dog Training & Educational Behavioral Training workshops. This event will be supported by Veterinary Pet Insurance/DVM Insurance Agency (VPI) and the Western Medical Supply, Inc.
About the LA Animal Services: The LA Animal Services cares for more than 40,000 lost and homeless pets per year and more than 5,000 wild, exotic and farm animals. Comprised of six shelters in the greater Los Angeles area, LA Animal Services promotes and protects the health, safety and welfare of animals and people in the city of Los Angeles. They value the integrity of each employee, volunteer and partner contributing to the professional delivery of excellent customer service and the humane treatment of animals, in an atmosphere of open, honest communication, predicated on trust in and respect for each other. For more information on the LA Animal Services, please visit: www.laanimalservices.com.